According to ListenFirst, Planters saw their Twitter followers increase 23% and TurboTax had a 39% increase in YouTube subscribers after the Super Bowl. The Alliance of American Football debuted on Saturday night. Its debut, with two games on CBS, was up against the NBA's best, the Houston Rockets vs. the Oklahoma City Thunder on ABC, a fantastic game that ended with a 26-point comeback. Still, the AAF posted better television ratings. The challenge for the AAF will be to keep the good times rolling, which for them means being more than a football league. “Our business started as a technology business,” said AAF Founder & CEO Charlie Ebersol, and he maintains that they are a technology company first and foremost. Ebersol’s ambitious plan is to follow MLB Advanced Media’s playbook, but with a focus on data instead of video. The legalization of sports betting and technological advancements should help the AAF succeed in a way past football leagues trying to operate behind the NFL could not. This year is shaping up to be a big year for Complex’s video licensing and development business. In total, Complex has licensed 16 of its existing series to Netflix and Hulu. Netflix will have six shows, including all three seasons of “QB1”, a reality show that follows three star high school quarterbacks during their final season before they move on to play college football. Complex Networks also has licensing deals with Fuse and MSG to air programming on their cable channels. All of these licensing deals cover shows already made by Complex, a key part of the company’s strategy. Kevin Durant is taking his seat in “The Boardroom,” an ESPN+ original series delving into the sports biz with a rotating roster of athletes, tech moguls and sports execs. Each episode of “The Boardroom” focuses on one major topic or theme in sports. “’The Boardroom’ seeks to capture the new way in which professional athletes interact with the business of sports, entrepreneurship, the investment community and our culture more widely,” said Connor Schell, ESPN’s EVP of content. 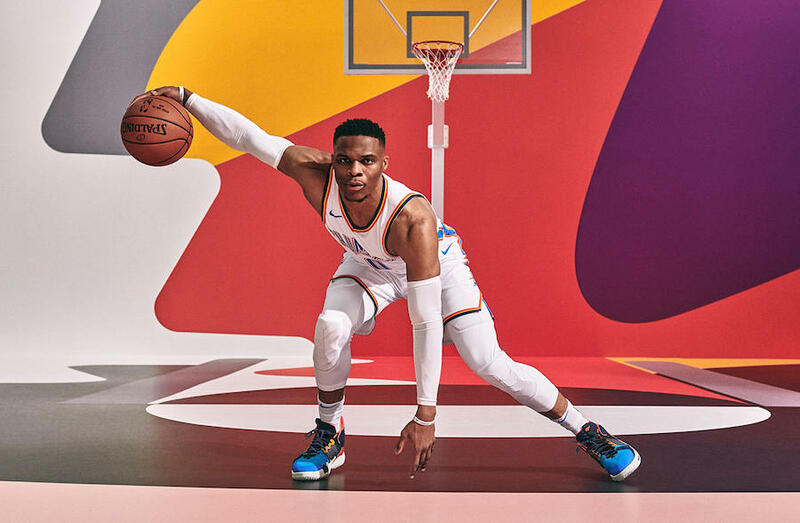 In a cross-platform promotion, ESPN The Magazine will feature “The Boardroom,” with Durant, Kleiman and Williams pictured on the cover and a story focusing on how athletes can become modern moguls. To promote its Document Cloud, Adobe debuted an experiential TV spot during the AT&T Pebble Beach Pro-Am on the Golf Channel, which is billed as the first-ever native integration to use the green of a golf course. Knowing how much business is done on the golf course, Adobe VP of Experience Marketing Alex Amado said the integration is a cross between a B2B campaign targeting boardroom executives and a B2C campaign aiming to educate everyday office workers about Adobe Document Cloud products. Suggestions that the Premier League could now look to launch an OTT platform come after former Crystal Palace chairman Simon Jordan shared that English soccer’s top flight should copy the NFL’s model and develop an in-house service to increase revenue. The launch of a standalone Premier League streaming service would come as a blow to UK rights holders such as Sky, which has long leveraged its majority coverage of English soccer’s top tier to attract subscribers. ATHLETES: Russell Wilson and Ciara launch new library initiative, scholarship and goals in tech telling kids, "Why Not You"
Luxury automotive brand Genesis is partnering with the PGA TOUR, TGR Live and TGR Foundation for the third year in a row to provide a premium experience for golf fans and guests at the Genesis Open. Guests of the Genesis Open can enjoy numerous activities and public spaces that honor the game of golf while showcasing the Genesis line of award-winning luxury vehicles. The TGR Foundation continues as the primary charitable beneficiary of the Genesis Open, with proceeds from the event going to support the foundation's college-access programs in Southern California.